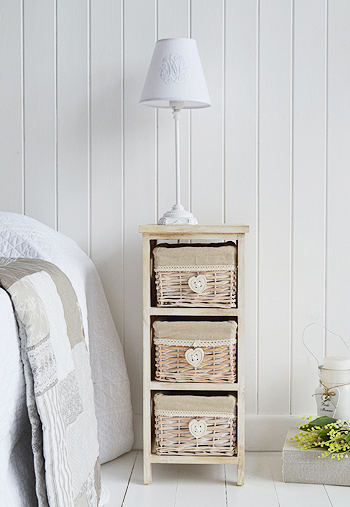 Looking for a Narrow Bedside Table ? 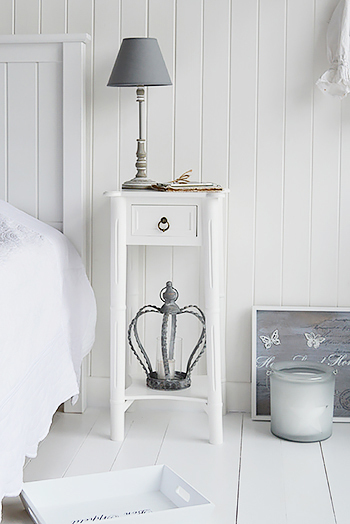 After speaking with our customers over the years we have found many have little space in their bedroom but desperately want a bedside table to put a lamp on, or a glass of water. 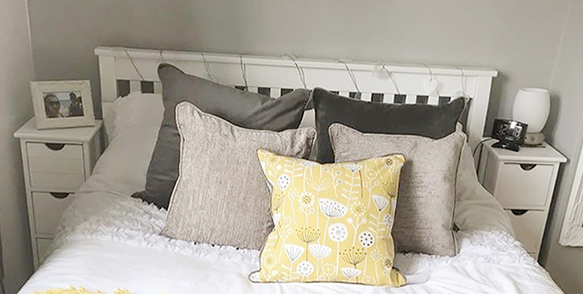 This is why we have sourced many narrow bedside tables with a width of 25cm in different colours and styles to ensure you will find one that will suit your bedroom style while adding to the beauty. 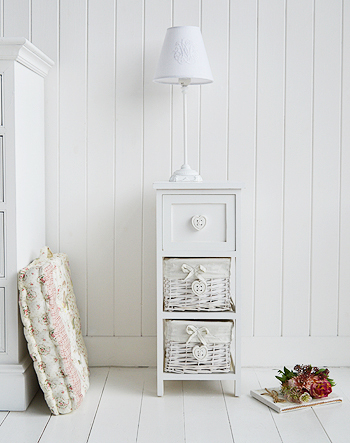 At The White Lighthouse we specialise in offering furntiure and home accessories that fall into our own unique style, we bring together beautiful pieces from white New England, beach, coastal, cottage and french interior styles. 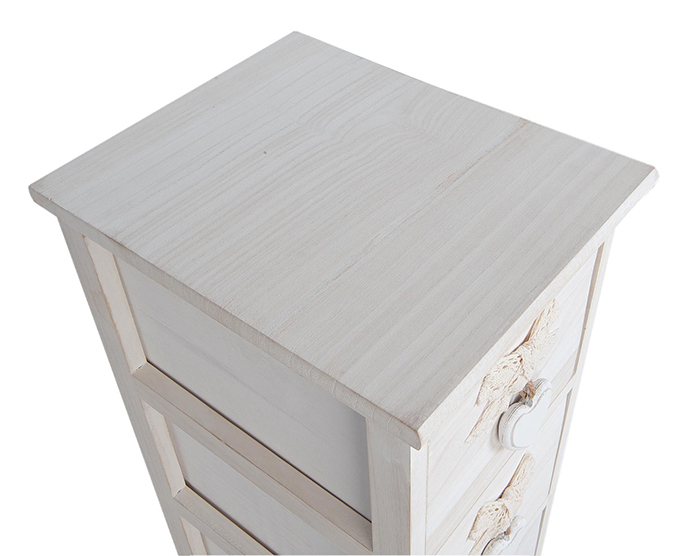 The Dorset narrow bedside table is only 25cm wide, fits into a narrow space beside the bed and designed specifically for this reason. 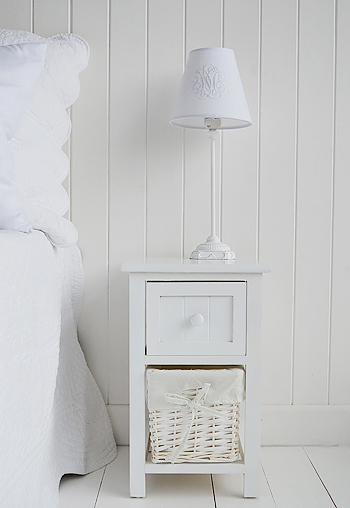 The classic New England white bedside table with drawer is 35 cm including the wide lip at the top. 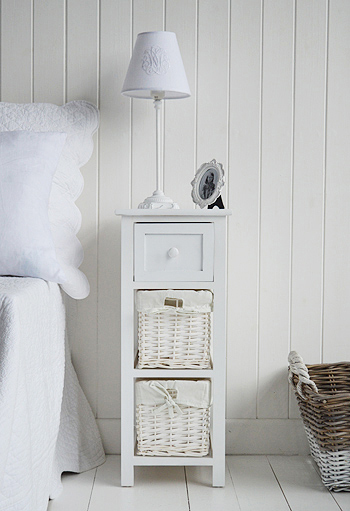 This is a wider table again with a width of 40 cm, the New England makes a great bedside table with two good sized drawers. 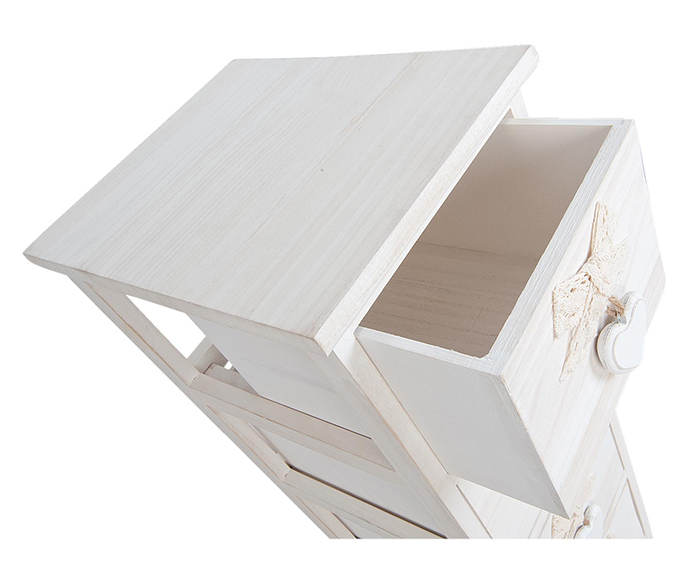 Thank you and best wishes, Ellie"
The Dorset are narrow bedside table only 25cm wide, they are available in 3 and 4 drawers and fit into even the slimest of spaces. 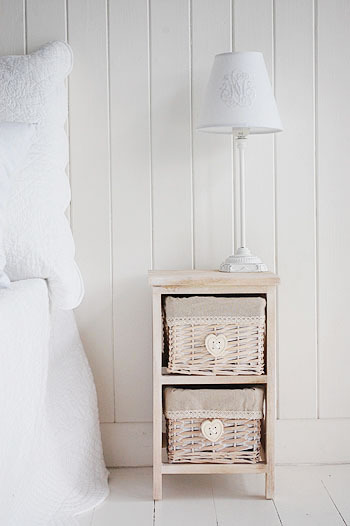 Written by Charlotte Simpson l Interior Designer at The White Lighthouse.